Brit Abroad: A Man, A Plan, A Canal - Panama! 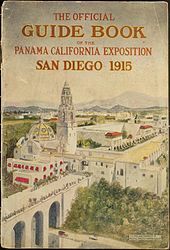 Seaport Village, and before that Balboa Park, site of the Panama-California Exposition in 1915/16 which celebrated the opening of the Panama Canal. A century later, the buildings are still there even if they were originally supposed to be temporary. Much of it is in Spanish colonial style, renovated and now housing museums, a strange wooden 'glasshouse', a version of the Globe Theatre, and these funny little international cottages which serve as mini tourist parlours run by expat volunteers. We popped into the German, Chinese and British ones which were as you'd imagine. Then off back to Mexico City. Nice visit. (Btw, the title of this post is the longest palindrome I know of).